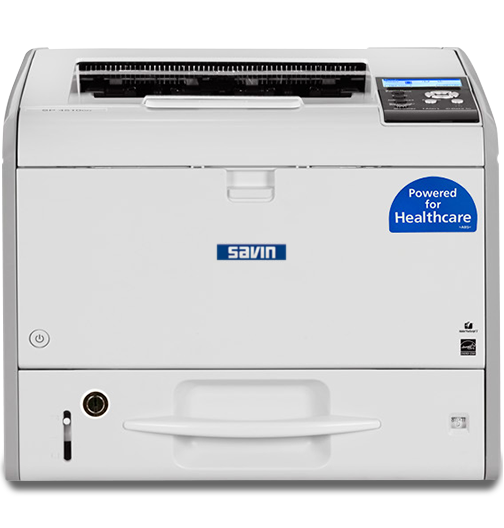 Make work life simpler in healthcare offices with the SAVIN SP 4510DNTE black and white printer. Now, send all print jobs for regulated and standard media to a single device without interrupting workflows to change trays or wait for jobs with regulated media to finish. Advanced firmware helps to keep regulated media and standard media jobs apart, so you no longer have to use a separate printer dedicated to locking down regulated media. A built-in locking tray comes standard on the SP 4510DNTE to help protect pre-printed prescription forms, pre-printed checks and other regulated media from theft or unauthorized viewing. Additional paper feed units (for a total paper capacity of 1,600 sheets) can be added via optional trays, which can either be locking or non-locking.